Humans are drawn to water. There is a universal appeal to the beauty of a waterfall, a small stream, a crystal clear lagoon. Just look at house prices – the closer you are to a coastline or a lake, the more expensive the property. When I share pictures from travels in Europe, I can prove statistically that the ones that have water in them, whether they be the Ligurian coastline of Italy’s Cinque Terre, the Grand Canal of Venice, the Seine River in Paris, or the waterfalls of Plitvice in Croatia, are by far the most popular (they get the most “likes” and “shares” on facebook). But it is not just aesthetics – our attraction to water goes much deeper than the “surface”. Water sustains life, and makes up more than 50% of our own bodies by weight. It is a powerful force that can bring positive energy (medieval watermills / modern hydro-electric dams) but also unstoppable devastation (tsunamis, floods). And of course there is the mystery – another world exists in the water – one that humans can visit briefly, but never join. I prefer to do this in the evening, when Notre Dame, the Conciergerie, the Eiffel Tower and other riverside structures are beautifully lit up. It’s a good way to relax for an hour or so after a day of sightseeing in Paris. If you are staying in the Latin Quarter area, take the Vedettes du Pont Neuf near Saint Chapelle. 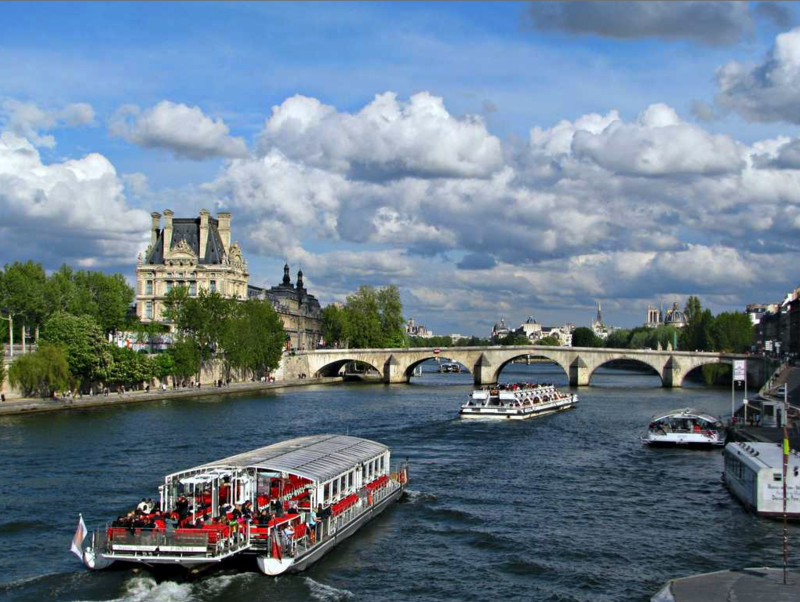 If you are staying closer to the Eiffel Tower/Rue Cler area, take the Bateaux Parisiens. You can also splurge and take one of the dinner cruises – reservations and proper attire required. Join us in Paris for three nights on our Grand Tour! A swim in the Mediterranean – any time of year? I take tour groups to Europe in the summer, when you will see lots of people, locals and tourists, populating the beautiful beaches on the coast of Italy. I also take groups in March, when, on what a Canadian would call a nice warm day, the locals, in their full length winter coats and scarves, will watch in disbelief as a bunch of North American tourists hit the somewhat chilly waves. Hey – you’re there – you might as well have the experience! 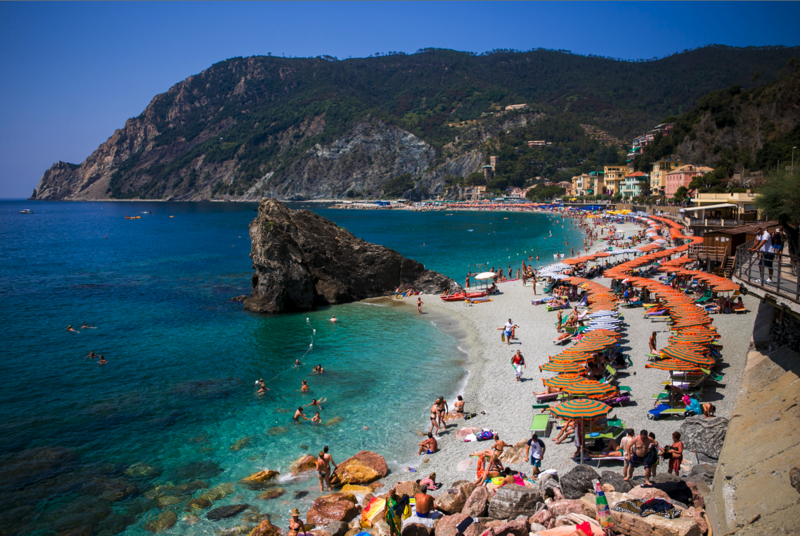 Both our Italian Experience and Grand Tour feature a two night stay in the Cinque Terre region. 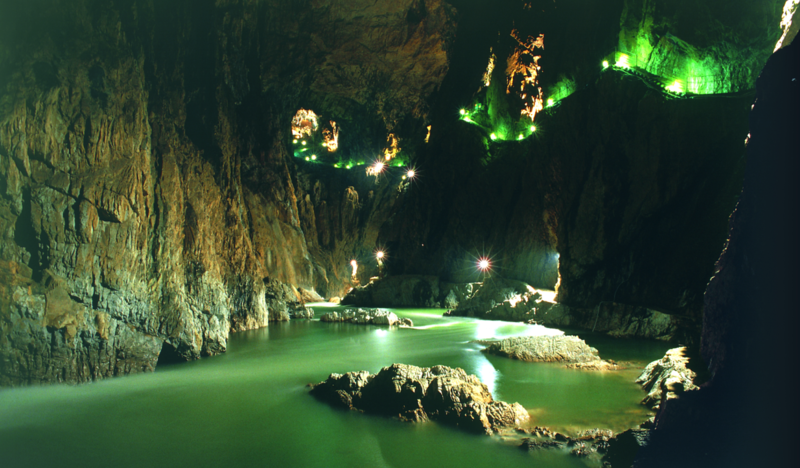 Disappearing underground in the Karst region of Slovenia, the mighty Reka River becomes visible only to those who venture into the Škocjan Caves. In one of the largest underground canyons in the world (think Grand Canyon, but with a stone ceiling above you) tourists of old used to hug the walls and walk high above the river with only their torches for light. Now with modern railings and lighting, the journey is a lot less dangerous, but still a thrill! Note that you can only enter Škocjan with a guide – click the link for more information. Part of our Best of the East tour. 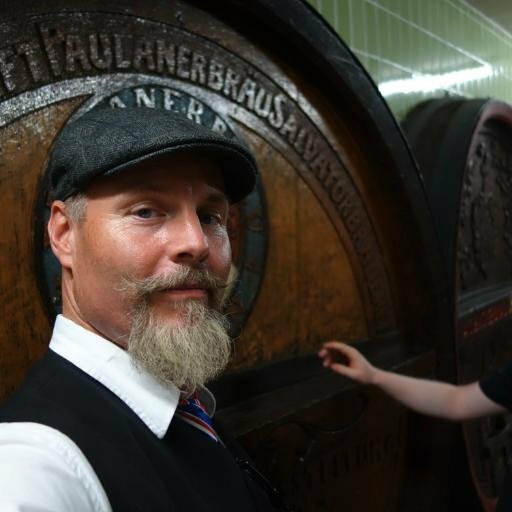 Want to enter this beautiful baroque town in style? Rent a raft up river, and float into town! Locals and visitors alike love to cruise down the usually calm river in an assortment of rafts, canoes and kayaks, stopping at one of the many riverside pubs for lunch and a refreshing Czech pils beer. The natural scenery is wonderful, but once you enter the town, which sits conveniently on an “s” curve in the river, it is glorious! There are several raft rental agencies – I recommend the friendly people at Maleček Rafting & Canoe. 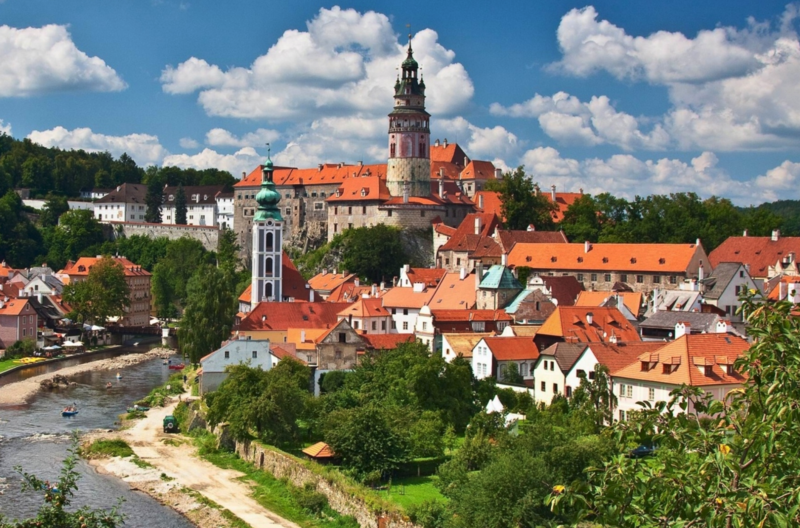 Our Best of the East and Ultimate Beer Tour both feature a rafting trip into Cesky Krumlov! Once a major form of transportation for locals, now a remnant of a bygone era, gliding down these lovely waterways can be a great joy. Expensive – yes. Romantic – depends who you’re with. Best time to go – the evening. Best place to hire a gondolier – debatable, but I wouldn’t hire one at the Rialto Bridge or St. Mark’s Square – the “back” canals are much preferable to the Grand Canal, which you can travel on in a local vaporetto (water-bus) for a lot less money. Campo San Moise is a nice place to hire a gondola. 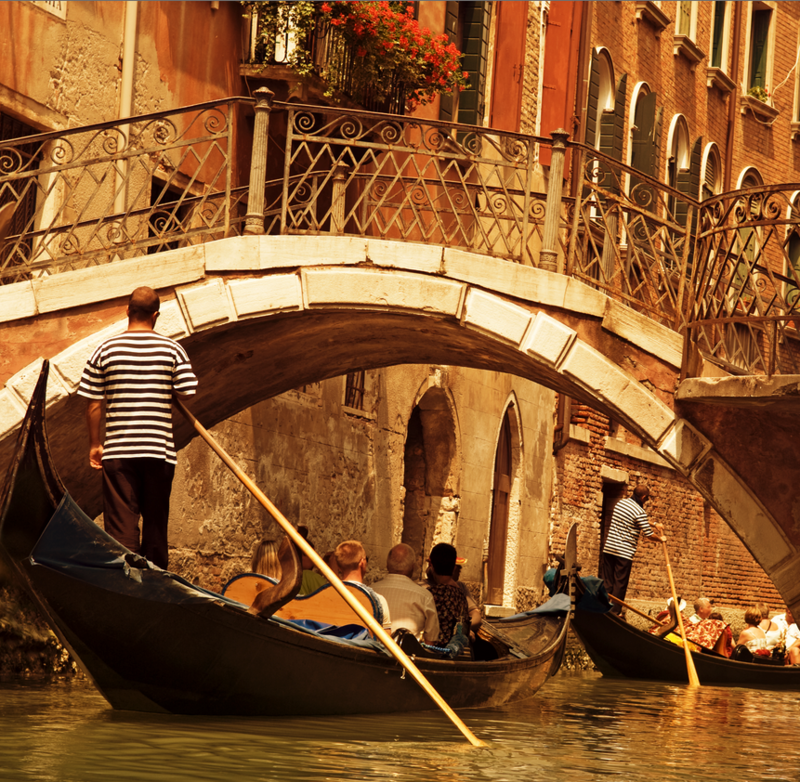 Join us in Venice on the Grand Tour or the Italian Experience Tour. OneLife Tours is dedicated to the absolute best in European travel experiences for our small groups. If you’re looking for travel with an adventurous spirit, we’re your company!